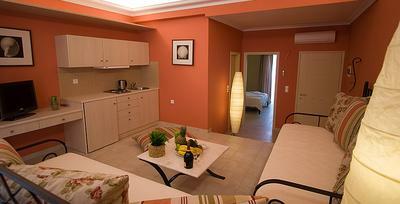 The Oasis Scala Beach hotel has a variety of room styles. 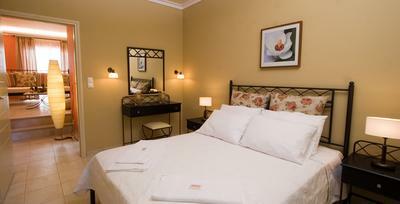 The hotel has in total 25 rooms: 8 standard double rooms, 12 superior double rooms, 3 maisonettes and 2 suites. 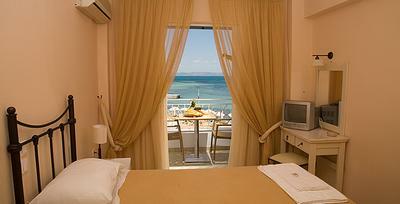 Our maisonettes, suites and superior rooms, all have balconies with sea and garden view. The standard rooms have balconies with mountain view. All our rooms have standard the following facilities: bathroom with toilet and shower, TV, air conditioning, hair drier, tea/coffee maker, refrigerator and private balcony.